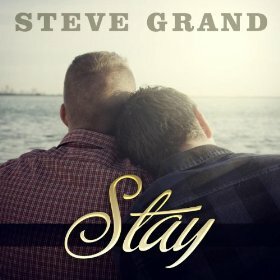 Download Steve Grand's latest single "Stay"
Conversation Therapy- Musician Steve Grand clears up rumors that he was sent to conversion therapy. There's A Great Power To Being Independent - Musician Steve Grand explains why he's using Kickstarter to raise funds for his album. My World Would Have Changed - Musician Steve Grand opens up to Larry about coming clean to his church about his sexuality. There Are Gay Religious People - Musician Steve Grand answers social media questions from fans.